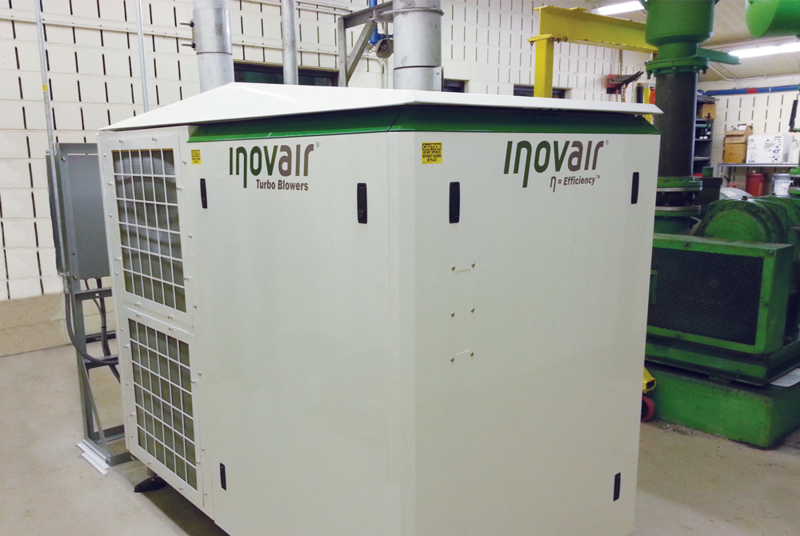 The Inovair IE series turbo blower is our most compact fully enclosed unit. 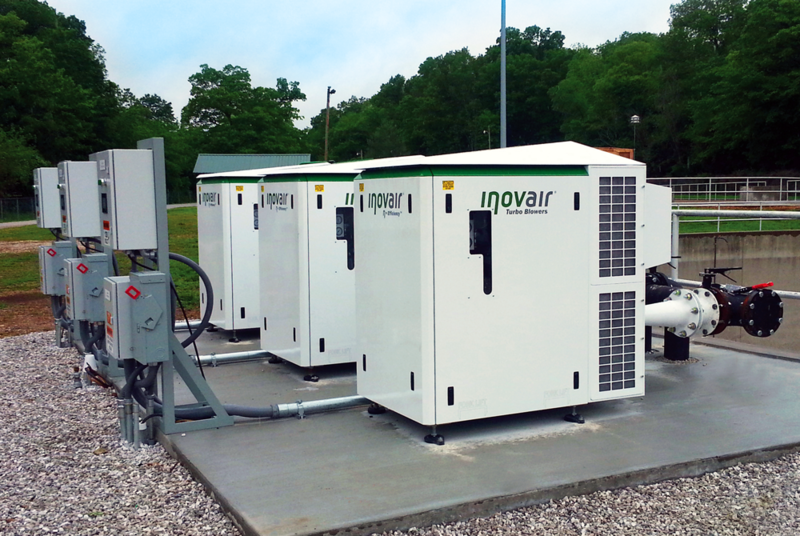 The innovative design of the IE series delivers a high level of noise suppression, 75-85 dBA, while still providing quick access for ease of maintenance. 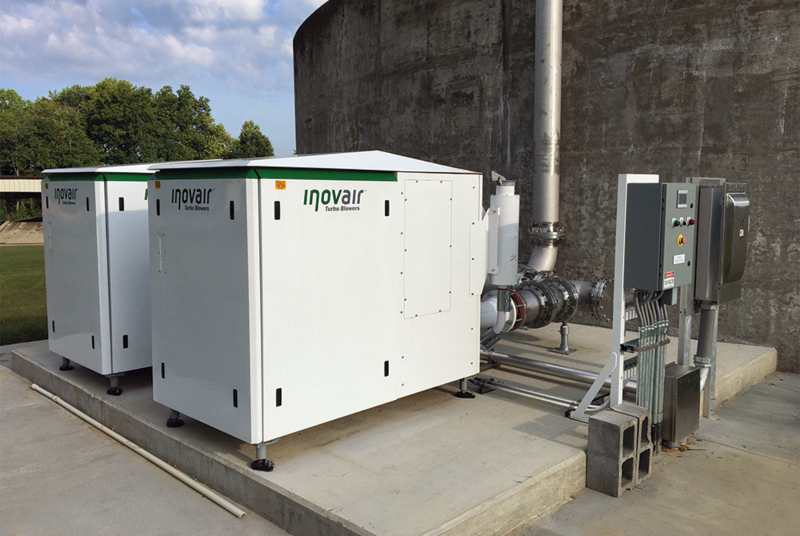 This design combines our integrally geared compressor with a TEFC induction motor and other industry standard components to produce a reliable, cost effective turbo blower for wastewater applications. 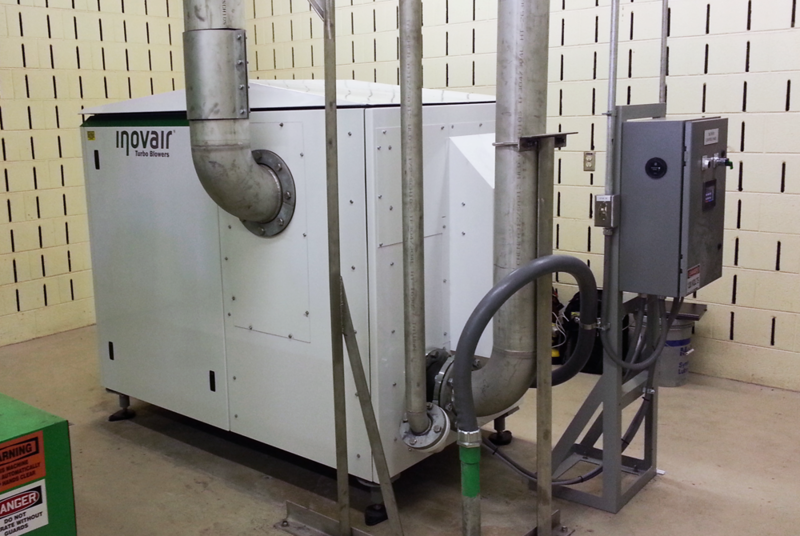 These design features, combined with 10-35% proven energy savings and long life expectancy, provide a high ROI and rapid payback. 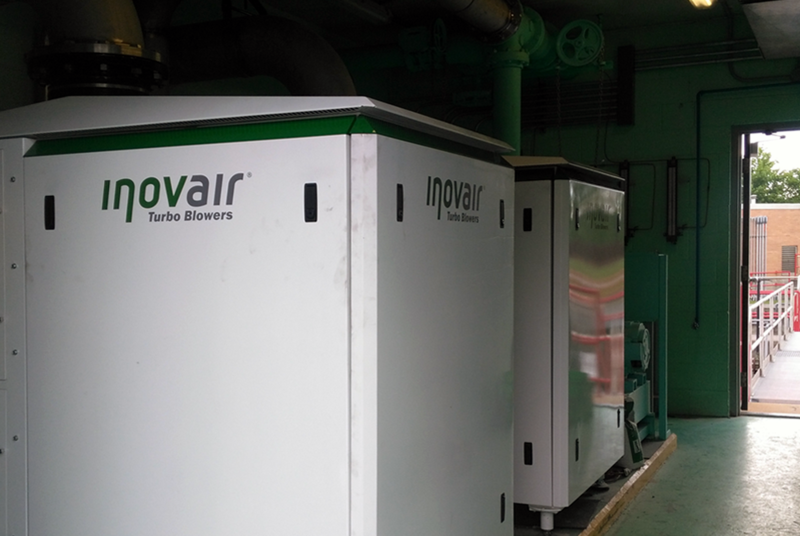 The Inovair IE series turbo blowers are the ideal solution for 30-125 HP applications that require a high efficiency, low noise solution. 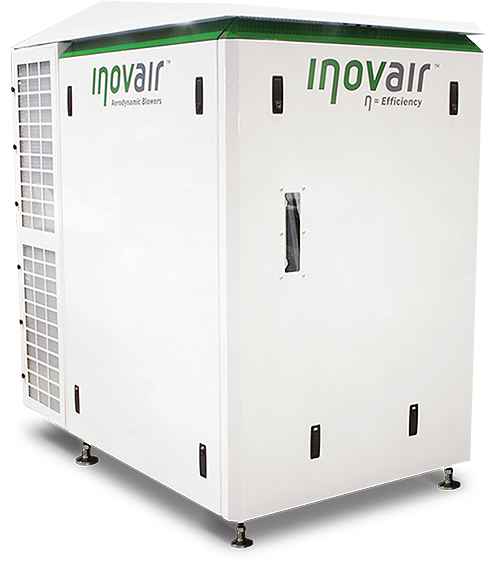 Combining our proven durability, best in class efficiency, ease of maintenance, and advanced airflow controls, the IE series blower package improves operational performance while significantly reducing operating costs.